The committee aims to help teachers reach students with information about the history and current place of the labor movement in American democracy. Committee members are classroom teachers, classified employees, and faculty from community college and university labor studies programs. 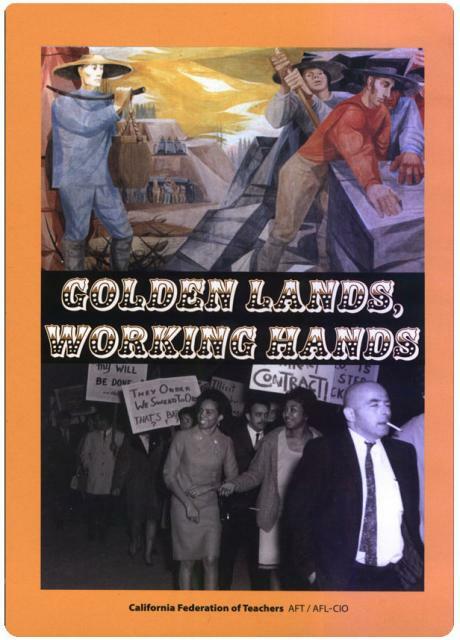 Golden Lands, Working Hands, a ten-part, three-hour video series, introduces students, union members and the general public to California labor history in order to encourage understanding of the state’s diverse working populations and their efforts to find common ground in struggles for social justice. It is meant to be shown one part at a time in conjunction with reading materials and lesson plans suitable for high school students, and for union members in new member programs. Order print copies of CFT curricula online but download pdfs for free! The CFT Labor in the Schools Committee has produced curricula for students at all levels of education, from pre-school coloring books to college and university readings, to union-based new member orientation programs. Use the order form below to purchase some of our most popular and enduring lessons and materials.